Bridon Crane ropes offer strength and superior quality providing our customers with considerable cost savings, in addition to the peace of mind of working with a world leader. When selecting a steel wire rope to suit a particular application - strength, rotation and fatigue resistance should be taken into consideration. 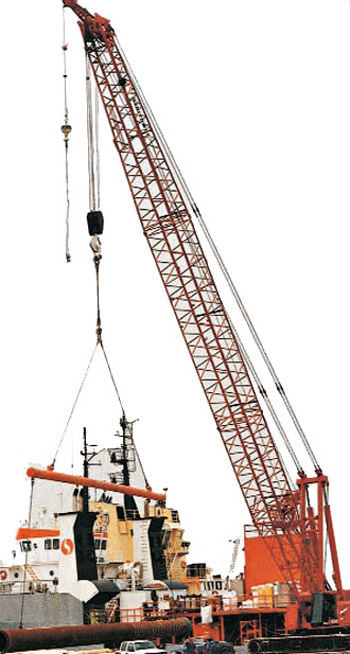 Standard features you can expect from a Bridon crane rope. Superior bending fatigue life when compared with conventional low rotation ropes - proven by laboratory testing and extensive field experience. Excellent resistance to crushing and abrasion resulting from the overall compactness and robustness of the rope and the Dyform strands - recommended when multi-layer spooling is involved. Reduced elongation resulting from increased steel content and the Dyform process.